A farm to dining experience best enjoyed at a leisurely pace. Discover an exclusive celebration of taste, yours to enjoy from the first moment to the last. Delicious local food with menus that change with each season. Delight in creative dishes delicately infused with tea. 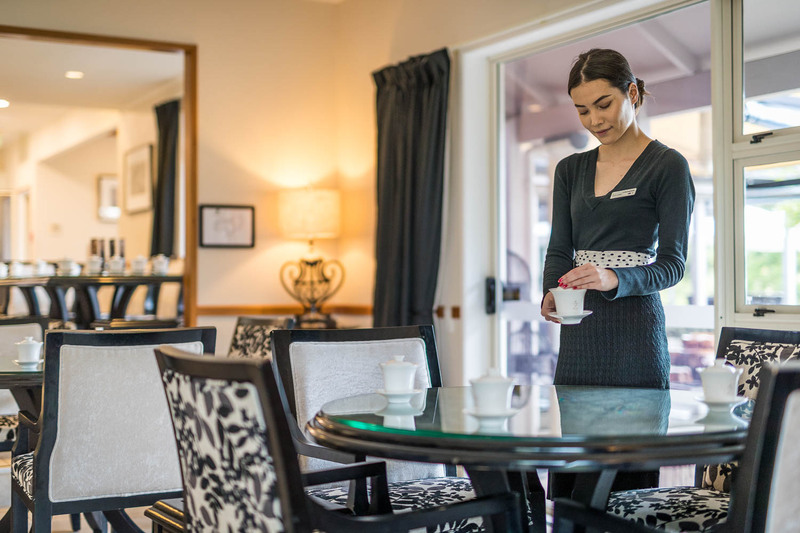 Our team of chefs and world-class tea blenders deliver exquisite infusions served amidst breath-taking views of the Waikato Region. Every plate comes bursting with authenticity. Our focus is to produce beautifully crafted food that reflects the best seasonal, ethically sourced local ingredients. Zealong Tea Estate is renowned for creative pairings and dishes infused with tea. Our team of chefs is committed to creating delicious local food with menus that change along with the seasons. 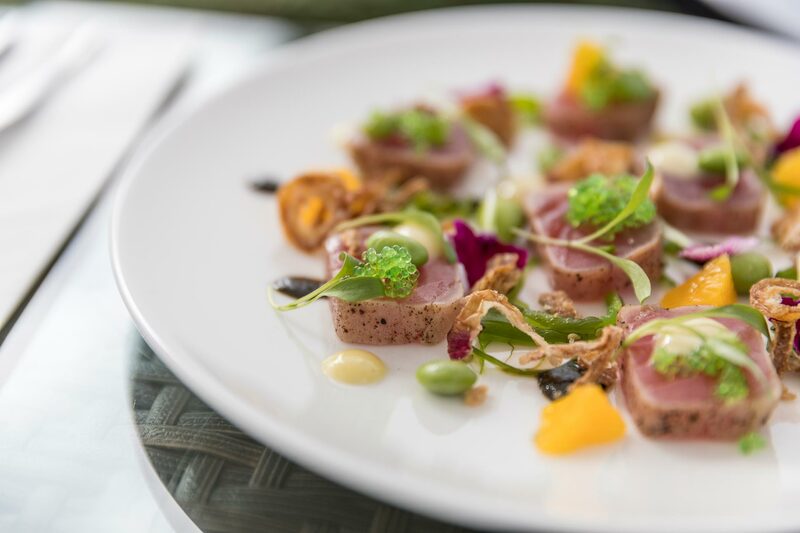 Delight in contemporary menus paired with exceptional Zealong tea in the Tea House, where every plate comes bursting with authenticity. Our focus is to produce beautifully crafted food that reflects the best seasonal, ethically sourced local ingredients – including tea! Signature High Tea, entrées, pâtisseries, and sides available all day. Please note that during peak times, the minimum order value of twenty-five dollars per guest may apply. With the exception of registered service dogs, we do not permit dogs at the Tea House due to health and safety reasons.